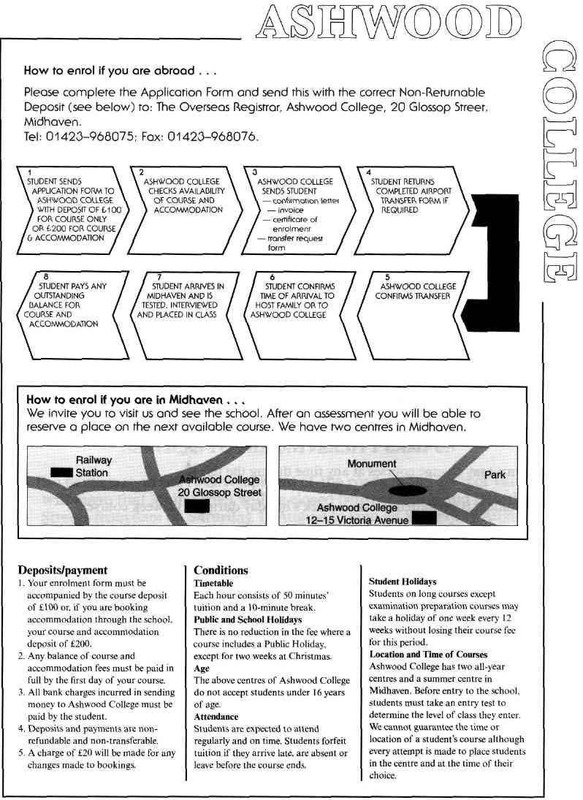 Read the enrollment details for Ashwood College on the following page and look at the statements below. 14 Overseas students must pay a deposit when they apply for a course at the college. 15 Outstanding fees are payable by the end of the first week of the course. 16 Classes are organized according to ability level. 17 There is a break between each lesson. 18 Students may change courses at any time during the term. 19 Any student is permitted to take a week’s holiday during a 12-week course.